Enfolded Nature: The Symmetry of Unbounded Time is a series of images that speaks to the evolution of perception from density to luminosity as being a process of returning to symmetry. Good Choice Kitchen offers up a farm to table seasonal menu of organic whole foods while supporting local artists with rotating art exhibits. Join us for the Artist Reception on Saturday, April 14th 6-8pm. Enjoy free live music and beverages, order some nourishing food, and meet the artist! 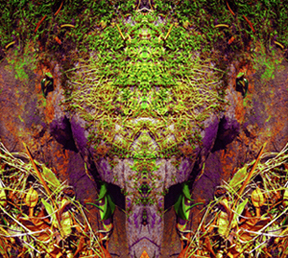 For more information about Enfolded Nature: The Symmetry of Unbound Time, click here.